Mangaluru is truly the pearl of the Arabian Sea and guardian of the West Coast. It is a land of exquisite cultures, charms and cuisines. A perfect blend of the traditional and the modern, it attracts thousands of visitors every day all year round. There are so many exciting things to see and visit in the cosmopolitan city, but undoubtedly, any visit to the city would be considered incomplete without relishing Ideal Ice Cream. The philosophy at Ideal Ice Cream is simple. We treat ice-cream like food. We select the purest and finest ingredients and then set out to create what has become one of the best Ice Creams. 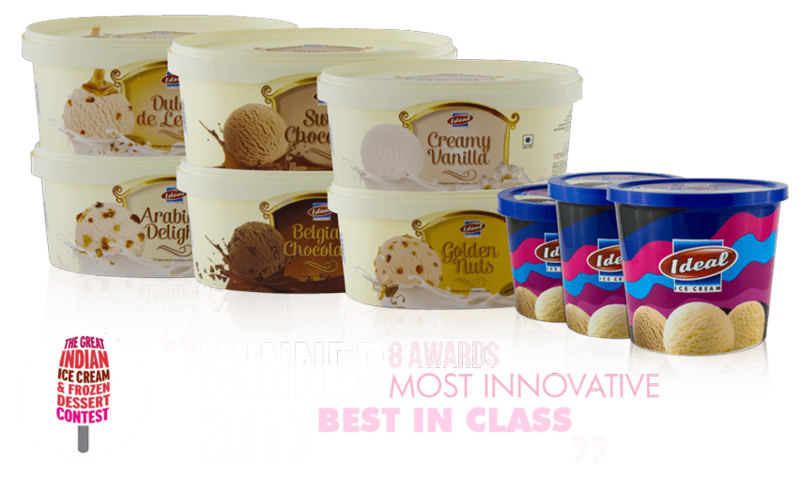 Prepared from fresh, natural fruits, dark brown chocolates, milk cream and the benchmark IDEAL’s recipe, our products come in a plethora of forms and flavours.